The action camera arena continues to be dominated by the Go Pro range and for good reason! Great quality and great specs help to keep Go Pro at the top of the pile, but for how much longer? Every month there seems to be a new kid on the block looking to knock the Go Pro off it’s number one spot. 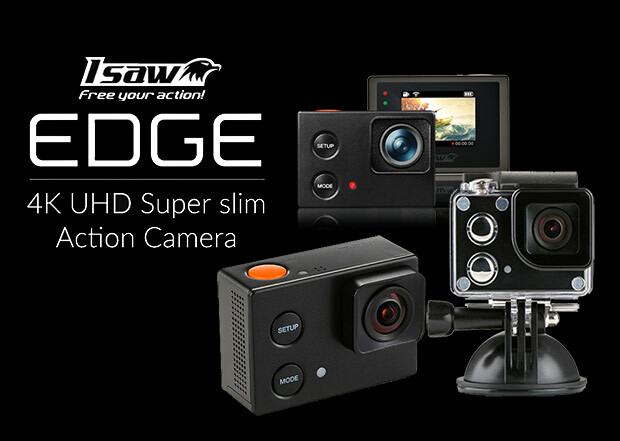 This month sees the launch of the ISaw EDGE, a 4K UHD action camera with an impressive spec and an even more impressive price tag. With an RRP of £159.95 you would be forgiven for thinking that corners had been cut but you’d be wrong! The feature list and specification for the ISaw EDGE reads like a ‘wish list’ for most users, 4K video (although this is only at 10fps), Full HD at 60fps, built in wifi, LCD display, 16MP Sony Exmor image sensor and an f2.5 170deg wide angle lens. This would be impressive enough but add a generous collection of surprisingly useful accessories into the mix and you’ve got the potential for a genuine alternative to the Go Pro. I’m going to be putting the EDGE through it’s paces over the coming days with a full review coming soon. In the meantime I thought I would start the ball rolling with an ‘unboxing’ video. This is my first attempt at making an ‘unboxing’ video so don’t be too critical! Hopefully it will give you a flavour of what to expect from the ISaw EDGE and whet your appetite for the full review! 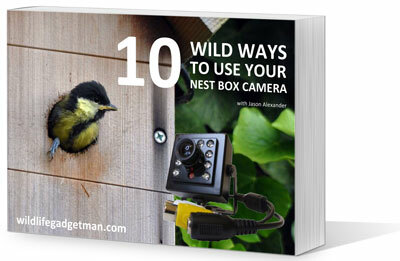 And if the EDGE lives up to its potential, expect to see it for sale in my ‘Wildlife Gadget Store‘ very soon.